Being a vampire is fun and all, but picking out what to wear can be a real pain (or bite) in the neck! 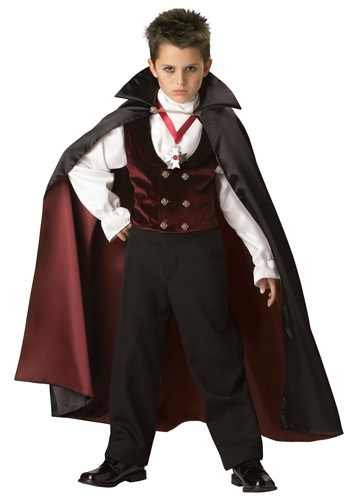 If your little creature of the night is in need of some classic vampire style, this Gothic Vampire Costume will make him the scariest looking spook this side of Transylvania! 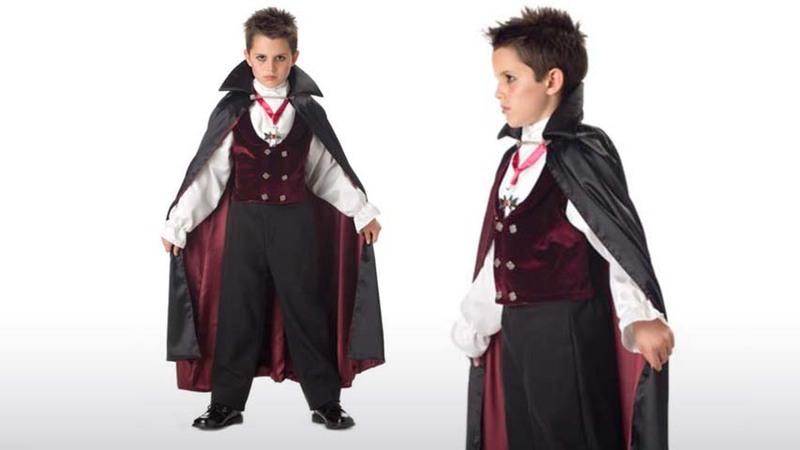 So, if your little vampire is looking for the scariest look to trick-or-treat in, this old fashioned Gothic ensemble is the way to go! The high collared cape adds an aura of mystery, and matches the ornate maroon vest for a dark and bold look. Be sure to get them a set of vampire teeth to complete this devilish costume!